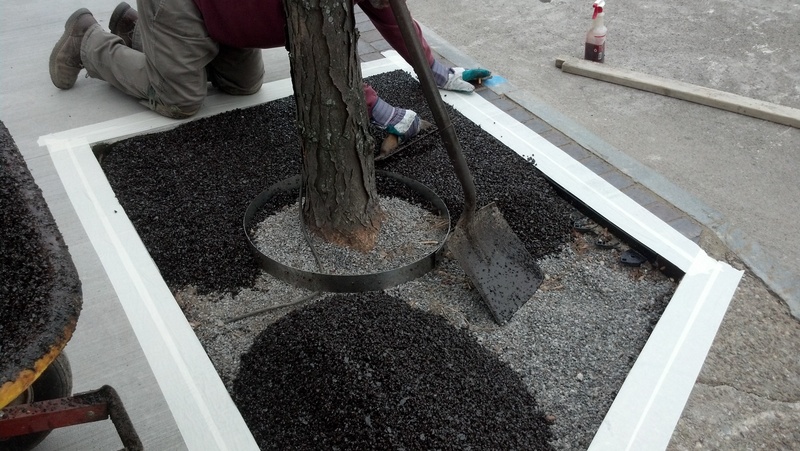 As an option the metal ring will be left installed, most of the time we use it to form 2″ thick outside the ring and 1/2″ thick inside. 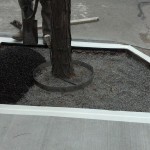 This gives a soft area that the tree can break apart as it grows. 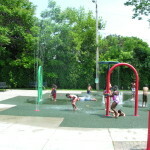 The sonotube is used to form full depth on the outside. 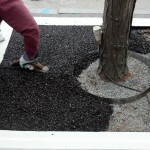 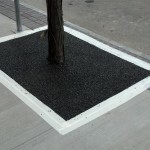 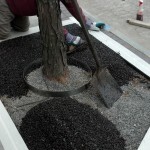 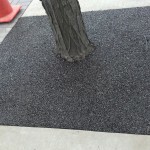 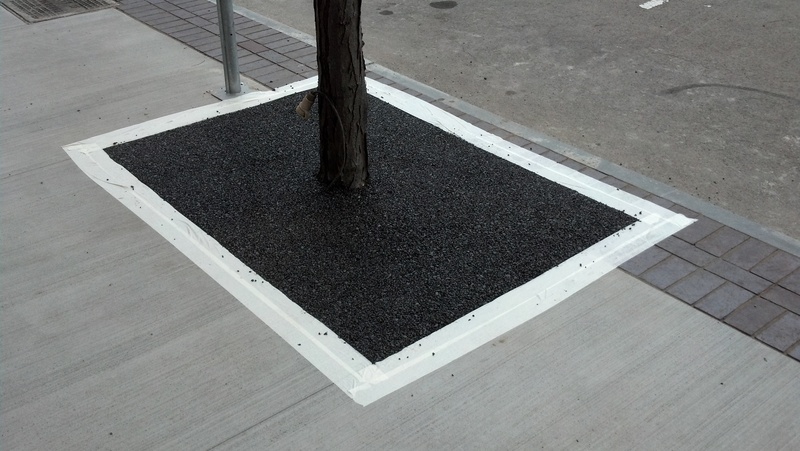 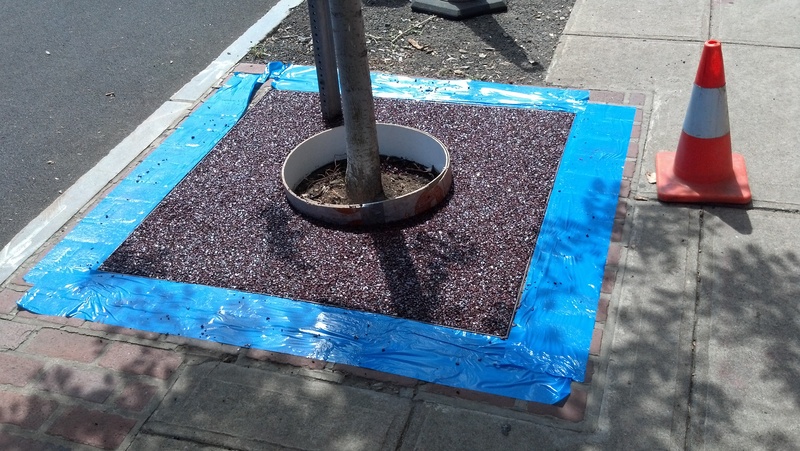 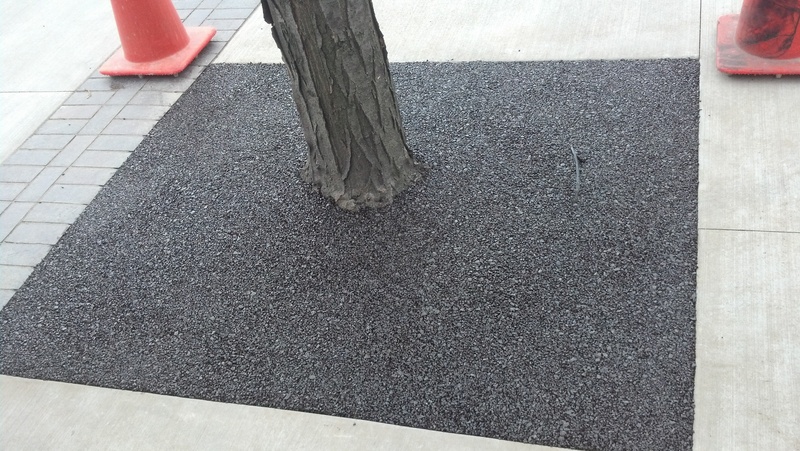 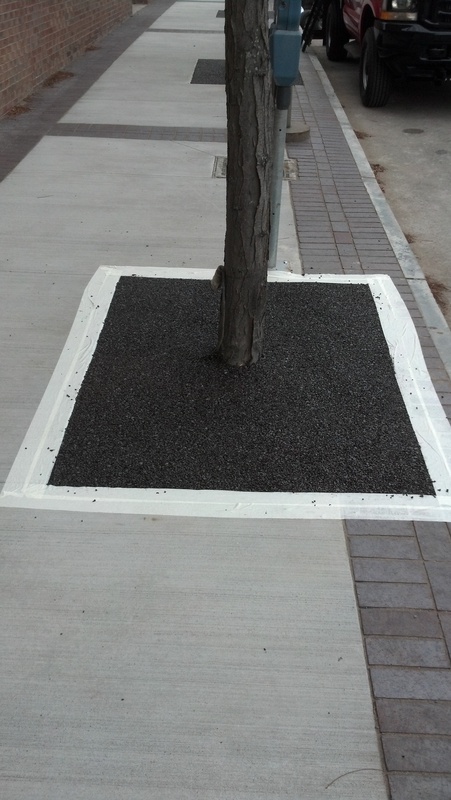 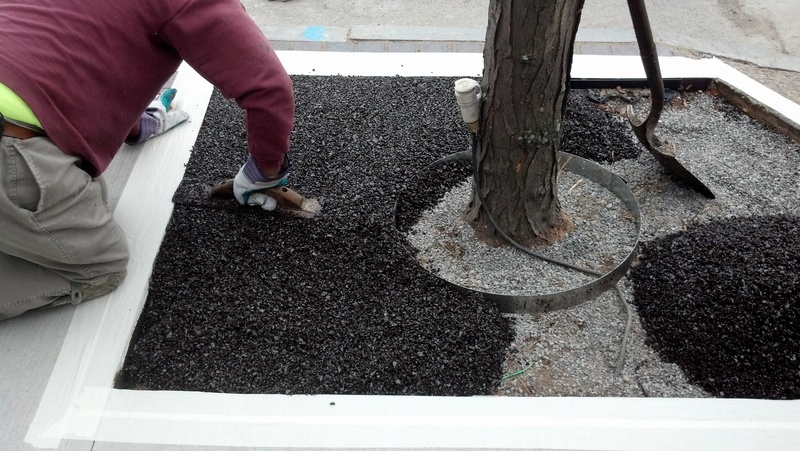 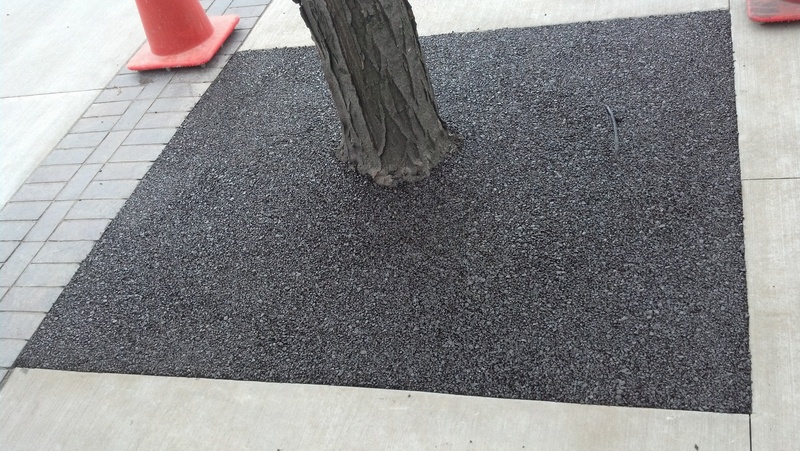 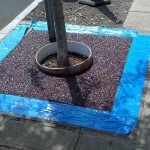 Inside loose material is added and a thin coating of Flexi-Pave will finish to the tree, or left open as specified. 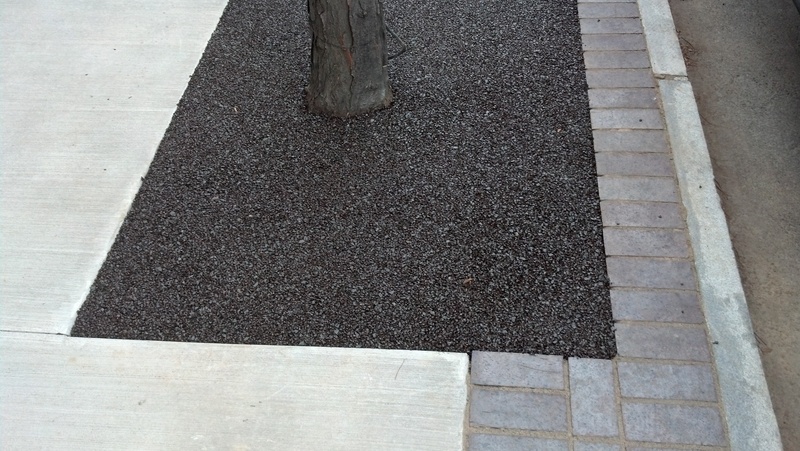 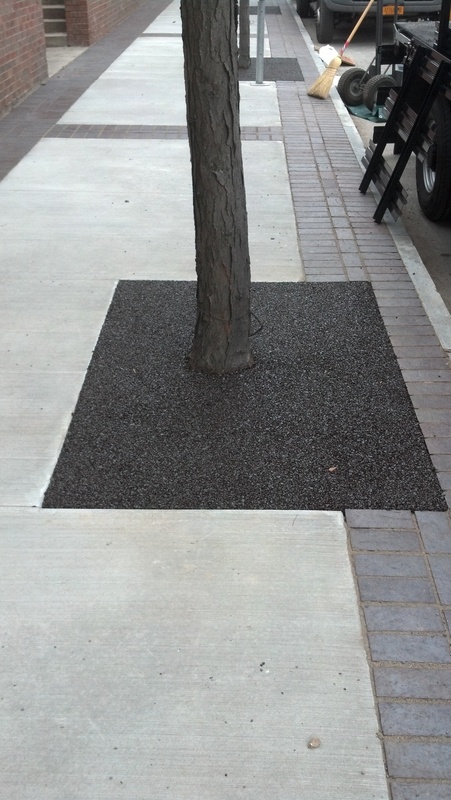 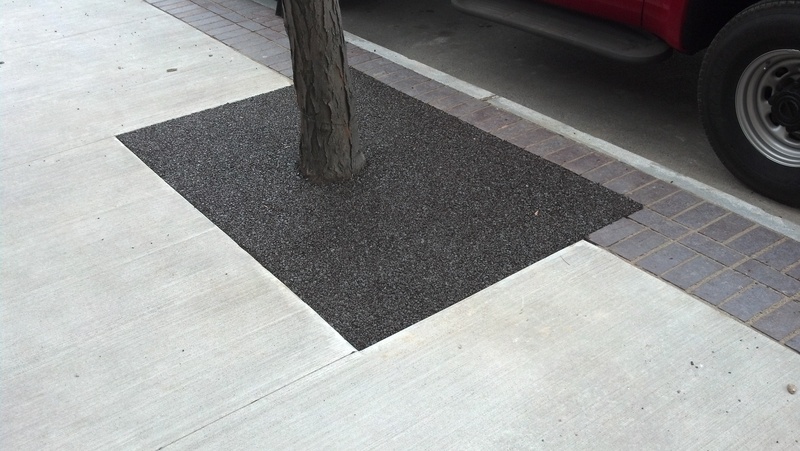 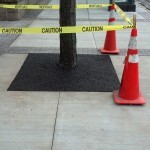 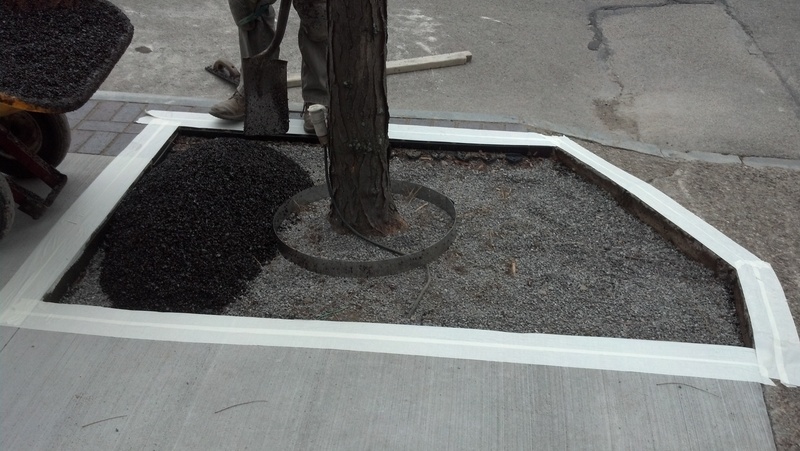 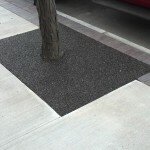 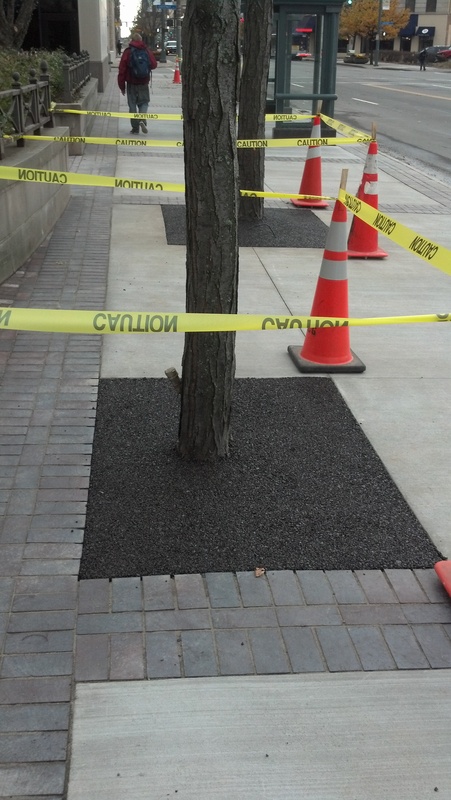 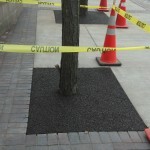 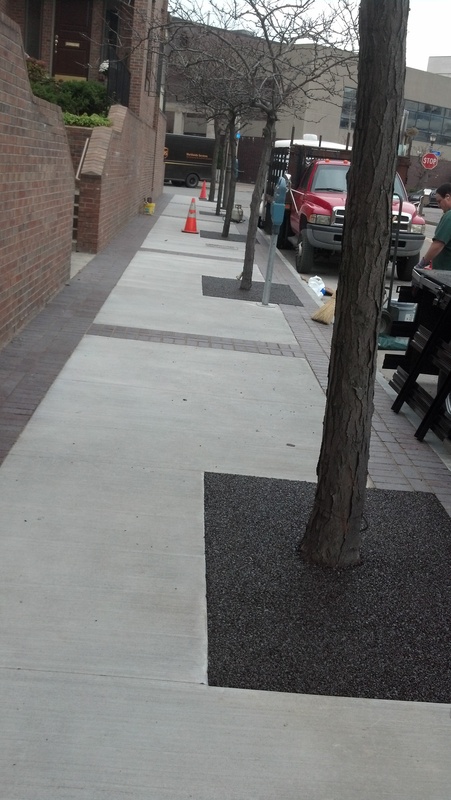 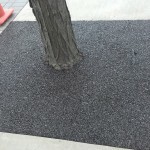 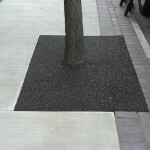 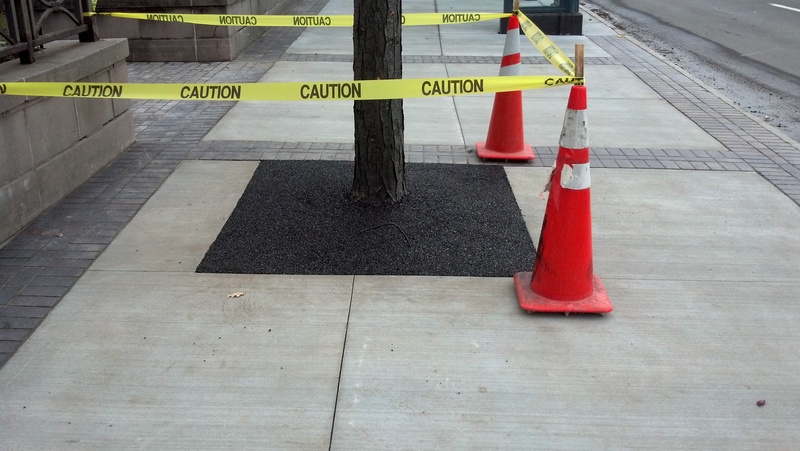 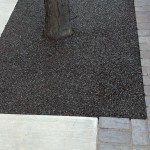 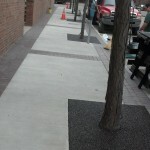 Row of completed tree surrounds in Rochester. 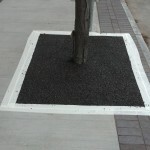 Metal grates collect garbage, our tree surrounds won’t. 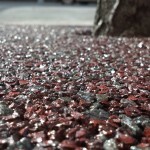 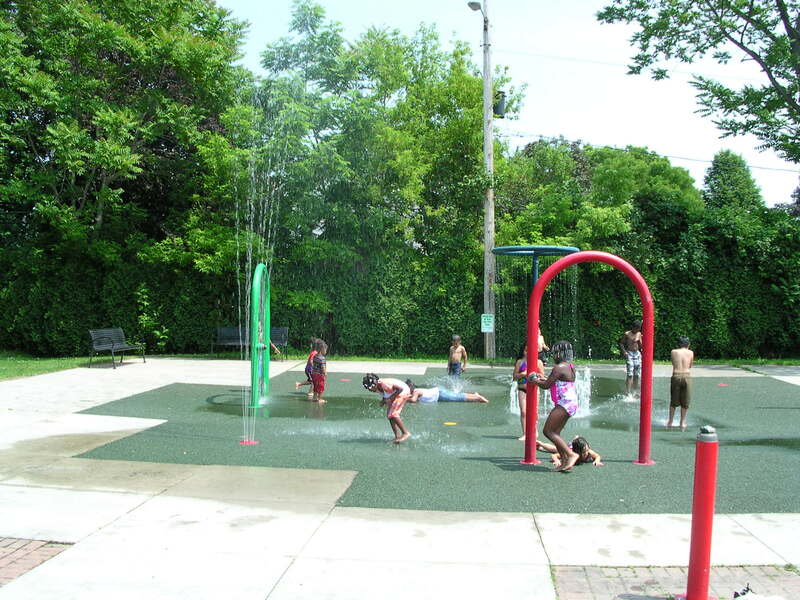 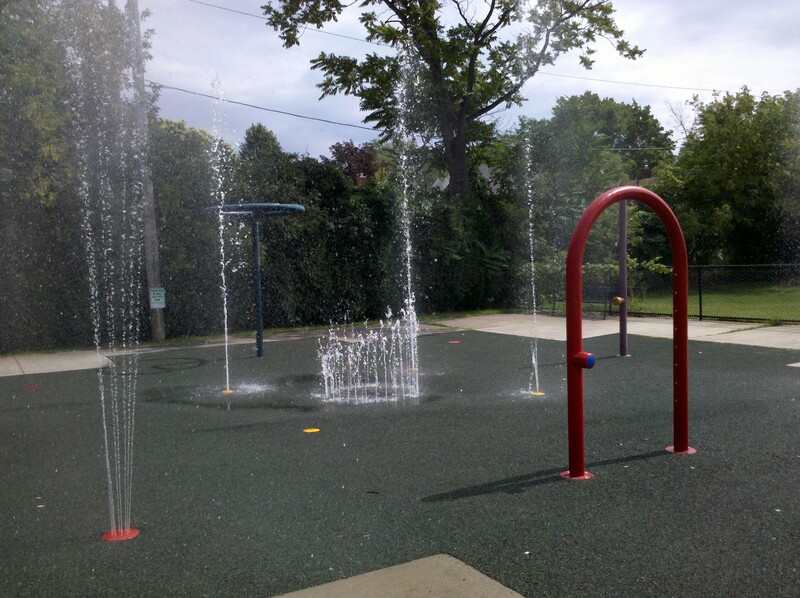 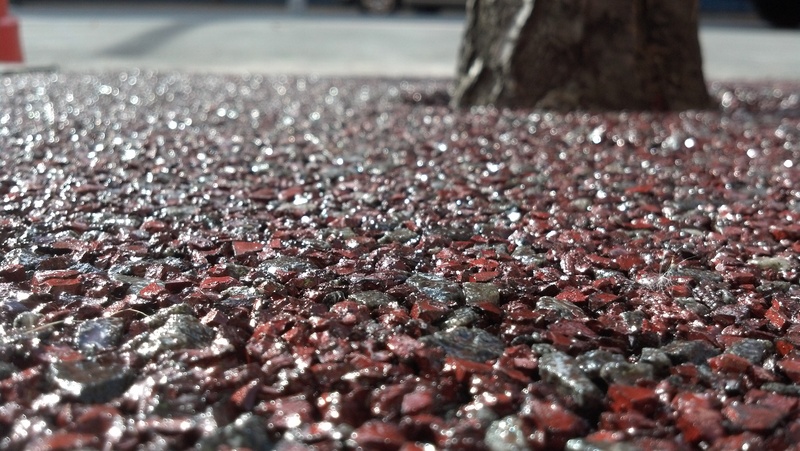 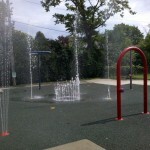 Soft and comfortable to walk on, Flexi-Pave is even more fun to cool off on.